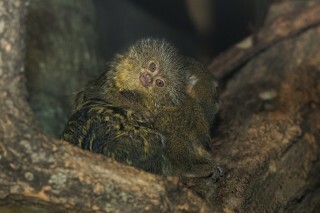 Named after the the sentient, furry beings from Star Wars, Ewok, a bush baby, is one of a pair of these diminutive primates at the Wildlife Conservation Society’s Bronx Zoo. 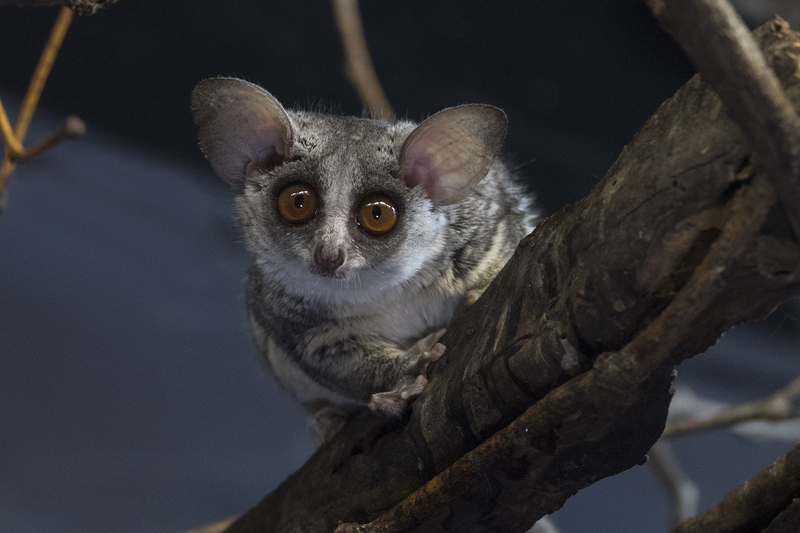 The bush baby — its more formal name is the southern lesser galago (Galago moholi) — has fascinating features that are useful for its nocturnal lifestyle. Disc-shaped pads on its feet help to grasp branches as it leaps among the treetops of the woodlands and gallery forests in Africa. 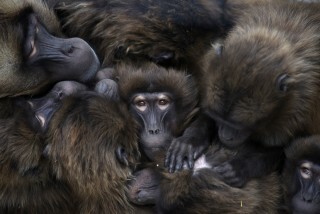 The hollows of tree trunks serve as bush baby hubs for group gatherings and family functions. While on the look out for predators and prey, the bush baby can turn its head 180 degrees and move its oversized ears independently. Often heard rather than seen, this tiny mammal’s shrill cries are similar to those of a human baby — and likely how it got its moniker.